Every day we are hearing something new about the upcoming Samsung flagship, the Galaxy S5. Today is no different. This time we heard something new about the user interface in Galaxy S5. You may well aware that Samsung might introduce new TouchWiz Ui but there might be more in the Sammy’s hand. Korean patent information website called K.I.P.R.I.S published information about newly given patents to Samsung recently. And we are hoping that these images could give some idea about the upcoming S5 UI. According to the patent Samsung gives everyone the opportunity to choose which corner they want to use this function. Customers are now able to use one hand and select all kinds of functions such as apps, notifications or favorite calls. We have to say that this looks very useful to use on big smartphones with huge displays. 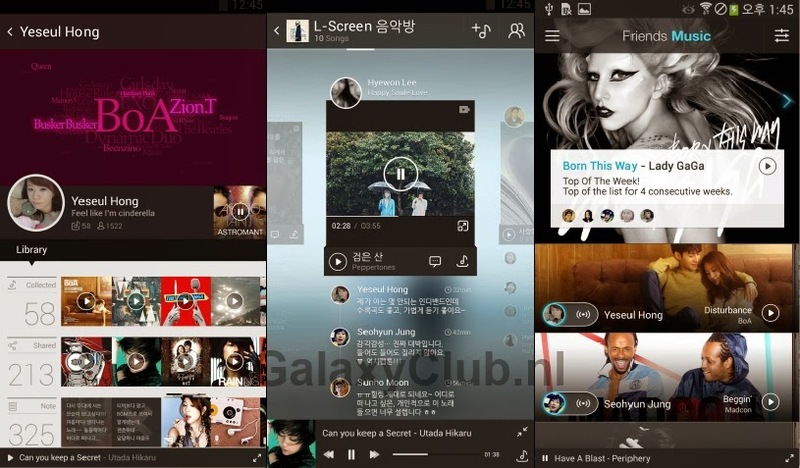 Secondly Samsung received patents on probably their new music interface which is deeply integrated with social media. If we will see this application called “Friends Music” back on the Galaxy S5 remains the question. According to the latest rumors will Samsung introduce the GALAXY S5 on day before MWC 2014. But there is no official word behind this as well.